★★★★★ – Having been through a variety of quotes from painter decorators, joiners and window repair specialists over the 4 years since we moved in to our house we were unsure which direction to take regarding major refurbishment/touch up/replacement, and not convinced we had found the right company for the job. On a whim I had a fresh look early this year and came across Mark’s firm. 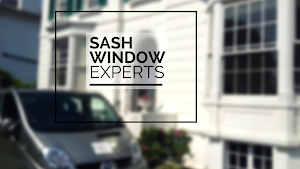 Speaking with Mark he was clearly knowledgeable and gave me the confidence that he had tackled worse repairs than ours (2 double height bays, 12 sash windows in total) and was experienced in his field. We finally took the plunge and booked him in, and are very glad we did so. I would echo the views of many of the other reviews. Mark and his team are courteous, professional and great workmen. He carried out major overhauls on nearly all of the windows and I was pleased to see the quality of the woodwork and thoroughness of the repairs. Also of note is my wife felt comfortable with the team around being around the house when she was at home with our young daughter. I would approach Mark as a first port of call for any further window restoration work we need down the line.